Frequent Josie Girl Blog readers know that (1) I hoard food and (2) I can eat an entire jar of almond or peanut butter in a sitting. Yes, both are problems. But both make me happy. 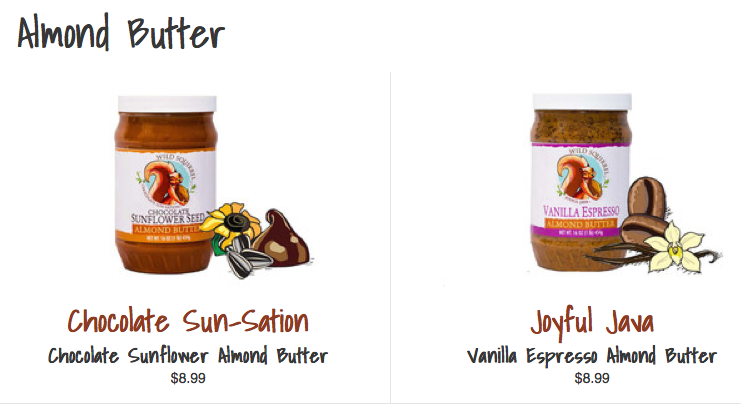 SO…..here are my favorite peanut and almond butters, as well as runner- ups. 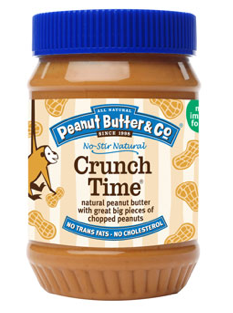 My most recent find is an amazing peanut butter company that specializes in a twist of flavors. PB Crave. Once again — peanut butter with a splash of fun. Right up my alley! The name is oh-so-fitting, because once you have a teaspoon of this peanut butter, you will end up eating at least five cups. You will *CRAVE* this treat. And yes, I spend time on the internet searching for “unique peanut butter flavors.” And let me tell you, this peanut butter is AH-MAZING. Seriously, it is dangerous having it in the house because I can easily eat half a jar with a spoon. I eat crackers and bread, just so I can eat the peanut butter and not look as pathetic. It is delicious with anything and everything. For reals. Another amazing feature of this peanut butter is that you can buy it on amazon. And that adds instant value and awesomeness to any product. Especially peanut butter. The four flavors (choco choco, coco bananas, razzle dazzle, and cookie nookie) are all scrumptious. A better known company, sold in most grocery stores is Peanut Butter Company. Tasty, straight forward, and simple. The nut butter is just as straight forward as its name -- Peanut Butter Company. Although simple, they have 10 different flavors: Smooth Operator, Crunch Time, Cinnamon Raisin Swirl, The Heat is On, White Chocolate Wonderful, Dark Chocolate Dreams, The Bee’s Knees, Mighty Maple, Old Fashioned Smooth, Old Fashioned Crunchy. Classic and yummy. Crunchy with a hint of sweetness. Perfection. 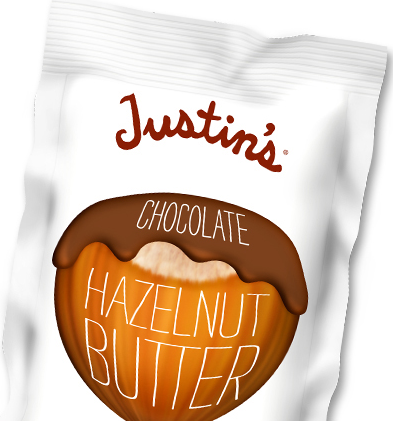 First only carried in Health Food Stores, Justin’s Nut Butter is becoming more and more popular, and is now sold in many stores around the country as well as various sites online. Justin’s Nut Butter was one of the first “gourmet and natural” nut butter companies (Whole Foods is a heavy distributor and advertiser). They carry not only his jars, but also his individual packs (genius). And now, his candies (think a healthier version of Reese’s Peanut Butter Cups). 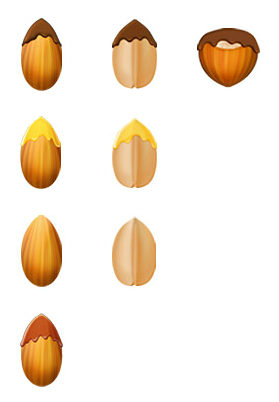 Justin’s has 8 different flavors for 3 different nuts (Almond, Peanut, and Hazelnut): Classic Almond, Chocolate Almond, Honey Almond, Maple Almond, Classic Peanut, Chocolate Peanut, Honey Peanut, and Chocolate Hazelnut. How many combinations can one buy? 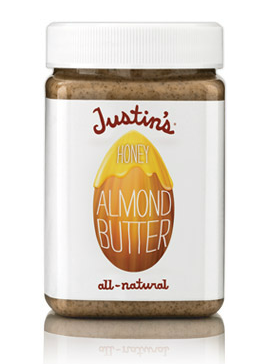 Unlike a lot of other “Natural Nut” Butters, Justin’s does not require any stirring or disposing of extra oil. Everything is just where it is supposed to be. Which makes it easier to deal with — especially when eating straight from the jar. Good looking jar, too. Kind of like a Mac look for a nut butter. Sleek and chic. Favorite Flavor: Honey Almond Butter. Another more obscure company is Wild Squirrel Nut Butters, which I found when I was randomly searching for unique nut butters (yes, I promise you, I DO have a life). I instantly was drawn to this company, not only because it had fun and unique flavors, but because it was founded in my hometown of Eugene, Oregon. A little over a year ago, two University of Oregon (Go Ducks!) students started selling their homemade nut butter — first on campus and online (I was one of the first to buy online — getting the nut butters in old school mason jars with handmade labels). Now, they sell in many Pacific Northwest gourmet grocery stores, and produce in a distribution center (versus their apartment kitchen). Wild Squirrel Nut Butters come in 5 different flavors: Chocolate Sunflower Almond Butter, Vanilla Espresso Almond Butter, Chocolate Coconut Peanut Butter, Honey Pretzel Peanut Butter and Cinnamon Raisin Peanut Butter. FUN, FULL OF PIZZAZZ, UNIQUE, AND MADE IN EUGENE OREGON? Represent!!!! Delicious!!! Unbelievable!! Amazing!! (Did I mention that the founders are 19 and 20 years old? Wild). What nut butter companies do you enjoy? I must add that I actually always have freshly ground peanut and almond butter from Whole Foods in the fridge, too. But these are my favorite “special” nut butters. I tend to use the freshly ground tubs for smoothies, sandwiches, and on bananas. These, on the other hand are consumed mainly by the spoonful, straight from the jar.